I love the Apple logo. But not when it is all I see on my recently rebooted iPhone screen. It just won’t go. 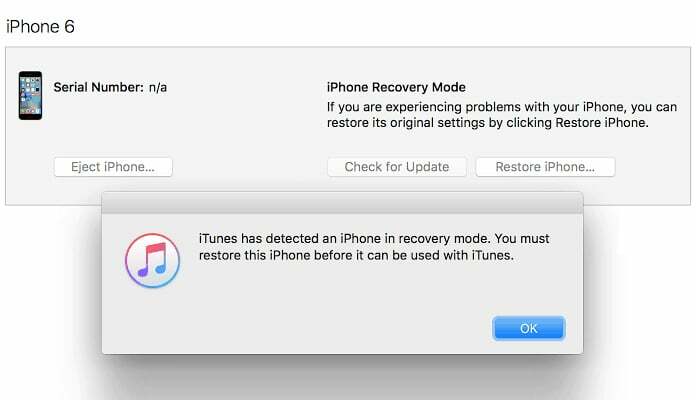 You can try resetting your iPhone or even connecting to iTunes. Nothing works. 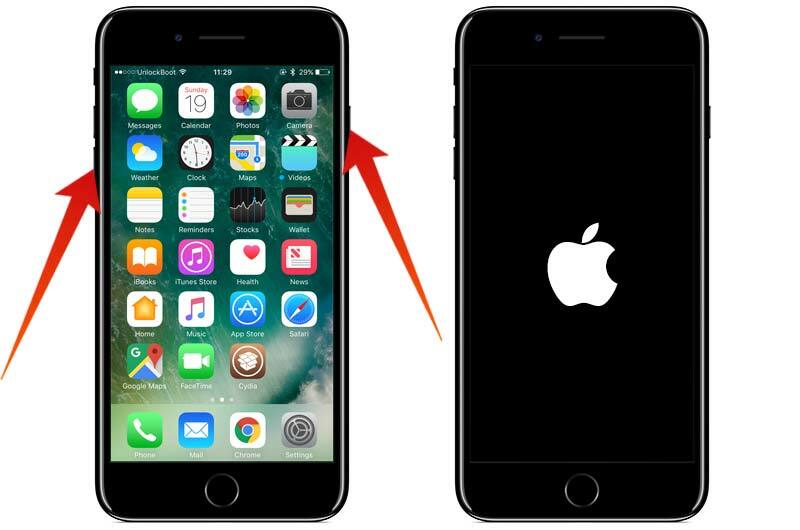 If your iPhone 7 Plus or iPhone 7 stuck on Apple logo – there is a simple solution to this very common problem. There are various articles on this topic but most are inaccurate and not complete. I am an Apple tech and thus deal with hundreds of iPhones every day. iPhones get stuck on the Apple logo for a number of reasons. And if you know this reason, it will help you in avoiding it from happening again. Let us find out what the iPhone is really doing when you see the Apple logo. It will help us in understanding the problem. What to Expect After iPhone is Activated? Just like any computer, an iPhone has to turn on its processor, check its memory and set up a number of its internal components at the time of booting. Now the iPhone is ready to do its more complex tasks like checking your mail or use the calculator. These processes are being done in the background while all you see is the beloved Apple logo. A problem occurs during the startup processes and causes the phone to go dead leaving the Apple logo. Why Your iPhone 7 Plus or iPhone 7 Stuck on Apple Logo? Restoration, updates, and transfer of data from the PC to the phone with having access to core functionality. Hence, during the transfer process, faulty ports or malfunctioning cables might corrupt the software. This can result in iPhone stuck on Apple logo. High alert is associated with jailbreaking. The process demands a total restore. Moreover, as the name suggests, the purpose of jailbreaking is to take apps out of restrictions. In other words, the process helps circumvent the safeguards put up by Apple. These apps then have direct access to the iPhone’s core functionality. Apple iPhone logo can be stuck, as a result. The backend work of the iPhone while you see the logo is to check up on its hardware. While doing so, if the iPhone finds there is no response from any component, it will wait. What you see is the Apple logo. You will often be asked to either hard reset or do DFU restore to resolve this issue. Most of the time, it might not solve the problem. 99% of the time the hard reset does not work. But then there is that 1% chance to consider. Hence you can definitely try. For iPhone 7 and later models, you will need to press the Power button along with the Volume down button. For iPhone 6s and earlier models, press and hold the Home and Power button together for a few seconds. Press till you see the Apple logo disappear and reappear on the screen. If this does not fix your problem move to the other fixes we have for you. While transferring data from your PC to your iPhone, other software on the computer might intervene and cause a complication. For example, your iPhone usually reboots after you update the software. However, to a computer you might have plugged and unplugged your device. During this process, the antivirus software suspends the data transfer in order to scan the phone. iTunes stops the update. The iPhone is half-updated and of no use. At times, your iPhone goes into Recovery mode and shows the message, “Connect to iTunes”. Other times, the iPhone gets stuck on the Apple logo. 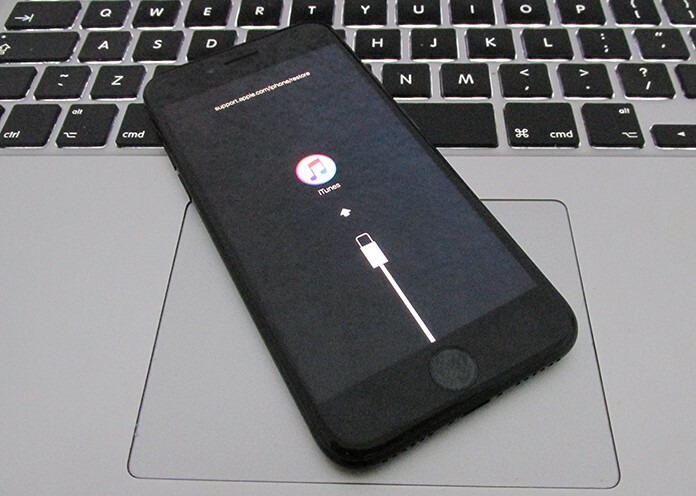 If your iPhone got stuck during an update, disable the software temporarily and continue. You can even check out Apple’s article Resolve issue between iTunes and third-party security software to find out more about problems that you might face using iTunes and other software. The problem is commonly found while using PCs but Macs can get a similar error. Defective USB cables and ports on PC’s and Macs can be the cause for your problem. Try using a different cable and connect with a different USB port to check. You can try using a friend’s computer to try to restore your iPhone. If you haven’t backed up your iPhone, try this tool: but it’s a long shot. Having a backup should be your first priority. You could have a backup on iCloud or iTunes but unless it is there you cannot retrieve any data. We would advise you to use iCloud. We even know how to back-up my iPhone to iCloud without paying for extra storage. 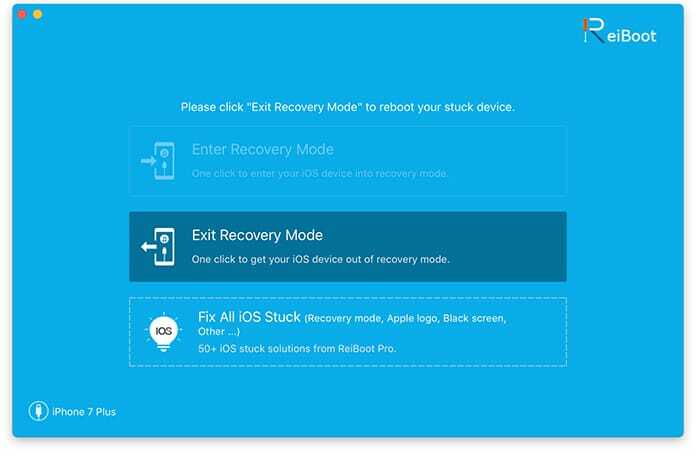 Softwares like Reiboot by Tenorshare are designed to force your iPhone into and out of Recovery Mode. Force reboot might not work but there is no harm in trying. I have never used Tenorshare’s products so we cannot tell you for sure how well they work. It is a free software and can be downloaded from their website. For those unaware, DFU means Default Firmware Update. Restoring your iPhone in this manner is the deepest kind. The reason being that the DFU restore not only reloads the iPhone’s software but also its firmware. Firmware is the programming that controls the workings of the hardware. You will not find any instructions for a DFU restore on the Apple website because it is quite unnecessary most of the time. As mentioned earlier, your iPhone is checking up on all of its hardware components during the startup process. If there is a hardware malfunction your iPhone will get stuck. This usually happens if your iPhone is water-damaged. In such cases, you will have to fix the component before you can restore your iPhone. If none of the other options work you probably need to get your iPhone repaired. If your phone is under warranty Apple would repair it free of cost. If you tried all options mentioned above, the probable cause is liquid or physical damage. Repairing through Apple means they would simply replace your phone. 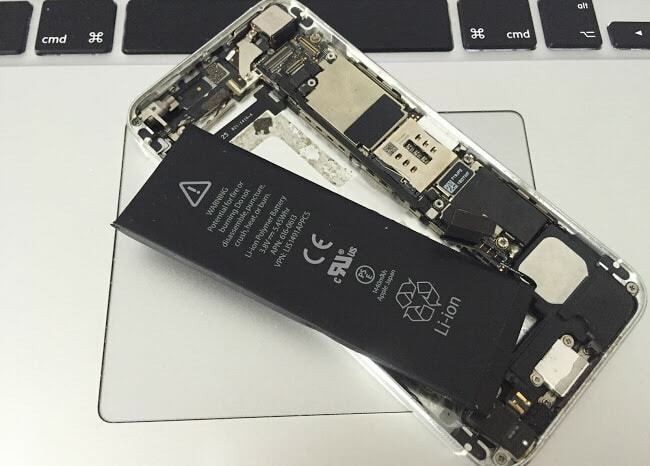 Most of the time, it is the iPhone’s logic board that is corrupted so that can’t be replaced so easily. A cheaper choice would be to use repair services like iResq that is known for quality work. Your iPhone 7 or 7 Plus is no longer stuck on the Apple logo. This means one of the various solutions worked for you. Good news, it is an error which rarely reoccurs unless you were unable to resolve the hardware issue. We hope one of the advices in this article works for you.